When the “Third Plate” officially ended, anime fans saw Soma promising to defeat Tsukasa. But based on the events from the manga series, Tsukasa is facing a different opponent when the new episodes of “Food Wars” season 4 arrive. The third season concluded with the break after the First Bout event. This is part of the Promotion Exams Arc that will continue in “Food Wars” season 4. At this point, the plot features cooking duels between the Rebels and the Elite Ten Council. There will be three cooking battles in the entire Second Bout but there is a chance that the premiere episode of “Food Wars” season 4 will only cover the introduction of the first card duel. The next battle happens between Kuga and Tsukasa. Soma’s win against Nene in the soba noodle challenge helped the Rebels dominate the First Bout. 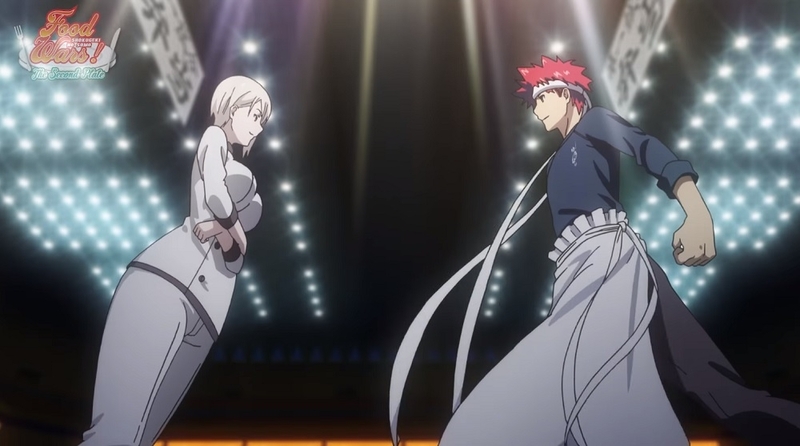 Unfortunately, they will face a completely different fate at the Second Bout in “Food Wars” season 4 starting with Kuga suffering an epic loss from Tsukasa. During the break or before the announcement of Second Bout’s first card duel, Kuga approaches Tsukasa to challenge him. This interaction might lead to some flashback scenes in “Food Wars” season 4 premiere to explain why Kuga is determined to defeat Tsukasa. There duel's theme is green tea. Fans can wait for the premiere of “Food Wars” season 4 to see what dishes are going to be made with green tea. The Rebels will also be represented by Megishima and Mimasaka in the second and third cards, respectively, but they will also lose in their matches. Meanwhile, the release date for “Food Wars” season 4 is still unknown. But many fans believe that the production of the next installment, dubbed as “Fourth Plate,” is certainly happening. Considering the rate of the manga chapters’ release, there are speculations that “Food Wars” season 4 might arrive sometime in 2019.